Providing water to the residents and businesses throughout the Valley of the Sun in Arizona is not an easy task. Meeting the varying interests of municipalities and utilities within the metropolitan region requires a unified strategy for water management. 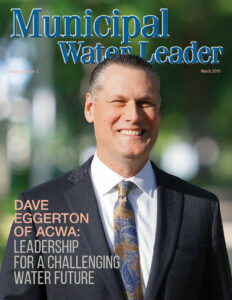 In March 1969, the cities of Glendale, Mesa, Phoenix, Scottsdale, and Tempe created the Arizona Municipal Water Users Association (AMWUA) to devise such a strategy. 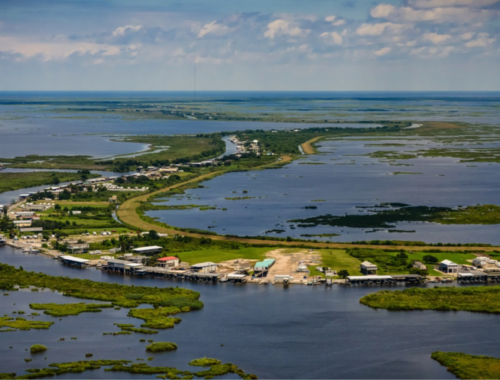 Today, the organization is double its original size and serves as a forum for area leaders to discuss issues, formulate strategy, and advocate for the region’s municipal water interests. Tyler Young, a writer for Municipal Water Leader, spoke with AMWUA Executive Director Warren Tenney about the role the organization plays in helping to promote a consistent and unified message for municipal water providers in the region, the complexities some AMWUA members face, and the association’s outlook on the future. Tyler Young: Please tell us about how you became involved with the water industry and became the executive director of AMWUA. 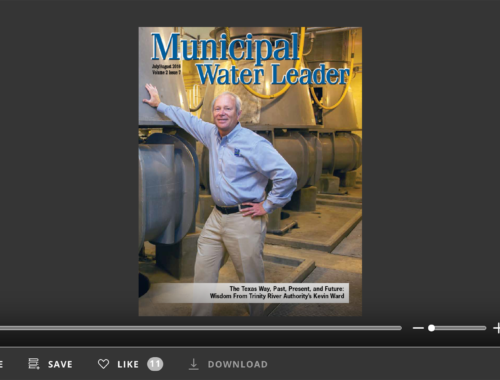 Warren Tenney: I entered the water industry through a nontraditional route. In college, I majored in history, and while pursuing a PhD in history, I got a part-time job with an entity working on southern Arizona water issues. From there, I became immersed in the field, learning about the overall industry and how many moving parts and players affect Arizona water policy. I then moved to the Metro Water District in Tucson, which had just recently become a public utility. I started as the administrative assistant to the general manager but was quickly given tasks such as developing a conservation program. I was exposed to numerous aspects of a water utility and was working with Metro’s board of directors and interacting with other water providers and entities, including the Arizona Department of Water Resources and the Central Arizona Project. I learned how important it is to interact on all levels within the Arizona water community. While I was at Metro, one of my tasks was to follow the meetings of the Central Arizona Project’s board of directors. In 2008, the election for Pima County’s representative came up, and I decided to throw my hat in the ring. I won as one of the four project board members from Pima County. I learned a lot during the 7 years I served on the board. In early 2016, I had the great opportunity to take on the professional challenge of serving as the AMWUA executive director. My 22 years at Metro certainly gave me a lot of good experiences and opportunities, which have helped me handle the job here. Tyler Young: Please tell our readers about the history of AMWUA and the goals it hopes to achieve. Warren Tenney: Next year will be the 50th anniversary of AMWUA. Community leaders understood that water is critical to the economies of the cities here in the Valley of the Sun and that water does not flow according to jurisdictional boundaries. As the Phoenix area has grown and developed, our membership has grown because of the benefits of grouping together to provide one voice on water resource issues. AMWUA includes 10 major cities in the Phoenix area: Avondale, Chandler, Gilbert, Glendale, Goodyear, Mesa, Peoria, Phoenix, Scottsdale, and Tempe. Together, these cities provide water to 3.5 million people, more than half of Arizona’s population. Our cities know they are located in an arid state where every drop of water needs to be wrung out and put to wise use. The role of AMWUA is to provide our members with a forum for discussion. We also educate our members, keeping them updated on water issues. We also try to educate elected officials and the public. We frequently collaborate with others in the water community and advocate for our cities in the state legislature, the Central Arizona Project, the Salt River Project, and the Arizona Department of Natural Resources. Our 10-member board of directors comprises mayors, vice mayors, and council members from each member city. It is a huge benefit to have elected officials who understand and are interested in water issues. Our management board comprises utility water providers or assistant city managers from each of our cities. Then we have committees composed of city staff members—these are the troops on the ground, digging into water policy issues and moving initiatives forward. We have one group called the Water Resources Advisory Group, made up of our cities’ water resource advisors. That group meets twice a month to identify and discuss issues shared among the cities that AMWUA can work on. As we work on those issues, they are presented to the management board and then the AMWUA board. Similarly, we have a conservation group that works on advancing regional conservation efforts. Tyler Young: How has this collaborative approach to water advocacy affected the area? Warren Tenney: The Phoenix-area cities play a critical role in advancing strong water management in Arizona. Each of the 10 major cities must provide their residents with certainty about water. The more the cities can work together with their neighbors on water policy issues, the stronger they all will be. Looking at the past 50 years, we contributed to many significant water accomplishments in Arizona. We supported the passage of the 1980 Groundwater Management Act and the subsequent Assured Water Supply Rules, which secured reliable water supplies for Phoenix-area businesses and residents. 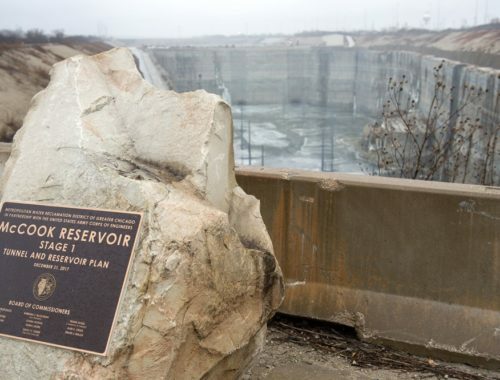 Although the cities had to meet new regulations and invest in renewable water supplies, they recognized that having a secure water supply gave them the foundation for their economies to develop. Another benefit to collaboration is that we are able to reduce the likelihood of an us-versus-them scenario that could occur among the Phoenix-area cities. We have a forum to facilitate dialogue and collaboration. This is a strength, as we are currently working on critical issues related to preparing for looming Colorado River shortages, recovering water stored by the Arizona Water Banking Authority, and protecting how our water resources are managed. Our cities are fortunate in that they have diverse water portfolios and have been preparing for this time of prolonged drought. Tyler Young: What are some of the conservation activities AMWUA is pursuing within the community? Warren Tenney: Each of our cities has effective conservation programs, but we also work together on regional conservation projects, which strengthen each other’s efforts. AMWUA is well known for helping to create a conservation ethic here in the Phoenix area. 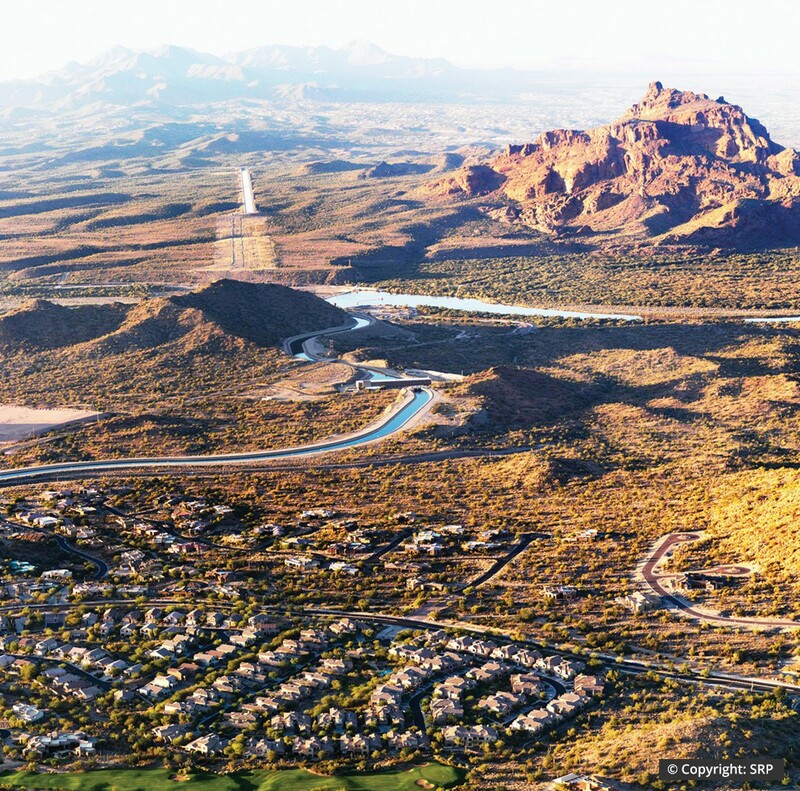 We have been pushing proactive conservation measures and regulations for over 40 years to ensure that water is used wisely and efficiently in the Phoenix area. For example, the city of Phoenix’s gallons of water per capita has dropped 30 percent since 1990. This statistic shows that our conservation efforts have contributed to lower demand despite our increasing population. We want to continue to lead in demand management and water conservation. A lot of our focus has been on how to reduce outdoor water use by promoting the strengths of low-water-use landscapes. Tyler Young: Have you had any challenges during your time at AMWUA? Warren Tenney: We are dealing with 10 cities, two boards of directors, and a number of committees, so we are always juggling different approaches and interests. AMWUA wants as much dialogue as needed to build a consensus. For me, it is much better to take time to ensure everyone is on board and supportive than to try to move forward with just a majority of the group. It can be a challenge, but it is really an opportunity. If we can bring each of our cities together in agreement on a particular issue, we are in a much better position to advocate and succeed on that issue. Tyler Young: As executive director, what are some of the goals you would like to see AMWUA reach? 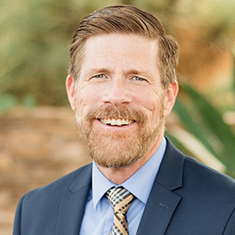 Warren Tenney: Arizona is strong in water management, but we know there are challenges ahead of us, such as shortage on the Colorado River or making sure decisionmakers continue to understand the importance of planning and continued investment in water. Sometimes we are hurt by our success. Everyone in the Phoenix area has water every day throughout the year because the cities have been planning and investing in water. Tyler Young: Do you have any advice you would like to share with your peers? Warren Tenney: It is important to surround yourself with a strong team of individuals dedicated to water. AMWUA is fortunate to have such a team of experts. Water is so basic that, too often, all the work that the cities have done to ensure that their residents have water is taken for granted. At the same time, water is complicated by competing interests, laws, and rules. It is important to keep water a nonpartisan issue and continue to ensure that we have water for our residents, communities, businesses, and industries. It is important to continually reach out to our members and others in the water community to keep an open dialogue. It is important to continually advocate for the need to plan, manage, and invest in our water resources and infrastructure. When AMWUA is advocating for cities, it is because of their willingness to plan and invest so that our families, friends, and coworkers will have certainty that there will be water for generations to come. Tyler Young: Is there anything that you would like to add? Warren Tenney: AMWUA’s goal is to continue to ensure that water will not be taken for granted. I am confident we can meet the challenges ahead of us. My hope is that we are able to build on the successes we have had in the past and show that by working together, we can continue to accomplish much more to meet the challenges ahead.